Packaged in handsome, affordable trade editions, Clydesdale Classics is a new series of essential literary works. It features literary phenomena with influence and themes so great that, after their publication, they changed literature forever. From the musings of literary geniuses like Mark Twain in The Adventures of Huckleberry Finn to the striking personal narrative of Solomon Northup in Twelve Years a Slave, this new series is a comprehensive collection of our history through the words of the exceptional few. My Ántonia, a novel by Willa Cather, tells the story of friendship between Ántonia Shimerdaa young woman who moves to the Midwestern prairie with her bohemian familyand Jim Burden, an orphaned child who moves from Virginia to the Midwest to be with his grandparents. The narrative is majorly told from the perspective of Burden, almost peripherally, as a memoir of his childhood in Nebraska. It is here where he meets Ántonia and her family, his new neighbors. Eager to learn, Jim teaches Ántonia English and they become fast friends. When Ántonia’s father tragically commits suicide, Ántonia discontinues her lessons with Jim and begins to work on the farm where she and Jim share countless memorable experiences together. After being accepted into Lincoln University, Jim moves away. Meanwhile, Ántonia copes with being abandoned by her fiancée and bearing an illegitimate child. When Jim graduates he returns to Nebraska and visits her before he starts law school, promising her that he’d visit again very soon. Despite keeping in touch, it is not until twenty years after this meeting that they meet again. Although in very different places in their lives, they pick up where they left offthe bond they formed as children remaining completely intact. 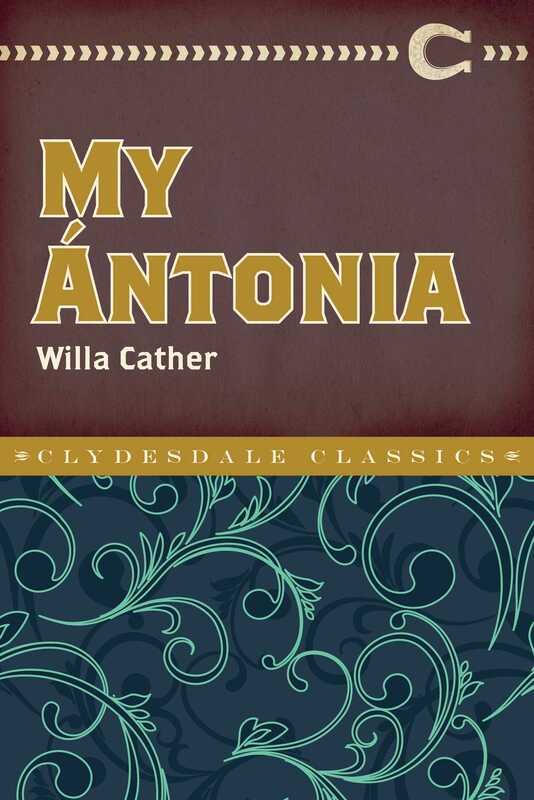 A classic story by renowned American author Willa Cather, My Ántonia is a timeless tale of a lifelong friendship.